The CBD Crew is an international project by Howard Marks (Mr. Nice), Jaime of Resin Seeds, and Scott Blakey (Shantibaba). These 3 individuals all bring many years of cannabis breeding experience to the table, and have decided to work together to produce a line of CBD-rich cannabis strains. This project was designed specifically with medical marijuana patients in mind. At the moment, CBD Crew offers a collection of 10 great but very different strains that all have a substantial CBD percentage. Of course, not only are these strains very attractive for medical marijuana patients, but for any grower or smoker that appreciates quality cannabis! CBD Critical Mass is a guarantee for some exquisite tasting nugs. Fast flowering and very powerful. CBD Nordle is an enormous producer and will reward even the beginning grower with nice results. CBD Indica Mix is the perfect pick if you can't pick and just want it all in your garden! CBD Skunk Haze is the perfect Haze plant but has a nice and high CBD level. CBD OG Kush puts a fresh spin on a hugely successful strain throughout the world. OG Kush, fabled for its strong THC content, builds on that reputation with higher levels of CBD, providing renewed freshness and clarity unusual for a Kush product. Strong yields combined with compact root growth make this feminised indica the perfect flower for indoor growers. As the name already suggests, this is a Sativa dominant (80%) strain for medical purposes. The CBD Crew is committed to creating medical cannabis strains, but with this one they really hit the nail to the head. Actually CBD Medi Haze goes a step further than the highly sought after THC:CBD ratio of 1:1 - some plants deliver buds with a 1:2 ratio! CBD Shark Shock is a perfect Indica Dominant strain that will reward you with a big and strong yield. CBD Yummy is a lust for any smoker that has a tongue. You will have your mouth running over with water when you smell this baby! CBD Crew Sweet and Sour is bred with genes of the notorious White Widow. High CBD levels and a very nice effect. Named after Shen Nung, the Divine Father of Chinese agriculture who recommended the medicinal use of cannabis more than 5000 years ago, CBD Divine by CBD Crew offers a THC:CBD ratio of 1:1 to 1:2. Sweet and fruity-fresh flavours make your mouth water while the good resin production makes the strain suitable for extracts. Growers will like that the strain flowers quickly and is easy to grow. 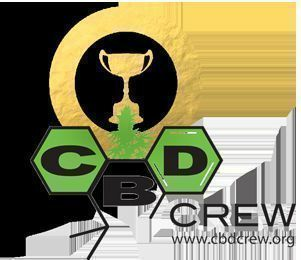 CBD Crew is a collaborative project between the expert breeders of Mr. Nice Seeds and Resin Seeds, with Howard Marks, Shantibaba, and Jamie of Resin Seeds all being heavily involved. The goal behind their crusade was to make CBD, one of the major non-psychoactive compounds of cannabis, available to anyone who would seek it. It is this mission statement that allowed them to put usual business rivalries aside and come together to improve the seed market, and the cannabis community as a whole. Their story began back in 2009, at Spannabis in Barcelona. Resin Seeds gave Canna labs a sample of their Cannatonic, which came back with a CBD:THC ratio of 1:1. It was their first successful foray into CBD genetics, but there was still a lot more work to do. At the time, only 50% of their Cannatonic seeds were producing CBD-rich bud, so much more breeding and refinement was required. It is, without a doubt, a gigantic undertaking. In order to try and cut down on the huge amount of work required, Mr. Nice and Resin Seeds decided to pool their knowledge as a team and form CBD Crew, a breeding project whose ultimate aim is to produce high-quality, CBD-rich cannabis seeds for the world to enjoy. Today, CBD Crew continues to innovate and set the standard for cannabis strains with high concentrations of CBD. In fact, other seedbanks are now working in conjunction with CBD Crew, sending them samples for CBD Crew’s endorsement! Their standards are so high that other seedbanks see their endorsement as a badge of honour. Included in their catalogue of highly-regarded strains are CBD Shark Shock, CBD MediHaze, CBD OG Kush and CBD Skunk Haze; all of which have set the bar high for future CBD breeding, and are actively being used to make novel CBD hybrids. All CBD Crew cannabis seeds come packaged in a sealed foil bag, ensuring seeds are kept safe, stable, and tamper-proof. 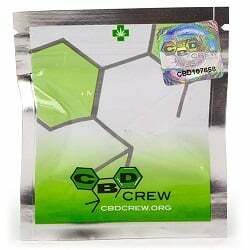 CBD Crew cannabis seeds are sold in packs of 5, available in feminized, autoflowering, and regular varieties. 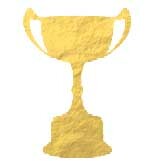 CBD Crew sets the bar high when it comes to breeding, so it only makes sense that they would win some awards for it. A crossing of Super Silver Haze with Neville’s Haze, further crossed with a CBD parent, CBD MediHaze is a sativa-dominant beast packing some heavy potency. She grows with a reliable vigour and is able to produce yields up to 550g/m² of sweet and spicy bud after 9–10 weeks of flowering. 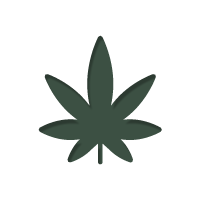 In terms of potency, the CBD:THC ratio can vary between 1:1–10:1, giving CBD MediHaze a range of potential applications. Both the CBD and THC content can vary between 6–15%. The THC has never been found to exceed the CBD content. CBD Skunk Haze is one of CBD Crew’s most popular hybrids, producing abundant yields and offering easy-to-grow characteristics. The genetics are split 50/50, providing the grower with the best of both sativa and indica traits. She has a flowering time of 10 weeks, and is able to produce yields of up to 450g/m² of woody, citrus-flavoured bud. All CBD Skunk Haze plants produce a CBD:THC ratio of 1:1, with both CBD and THC content varying between 5–12%.